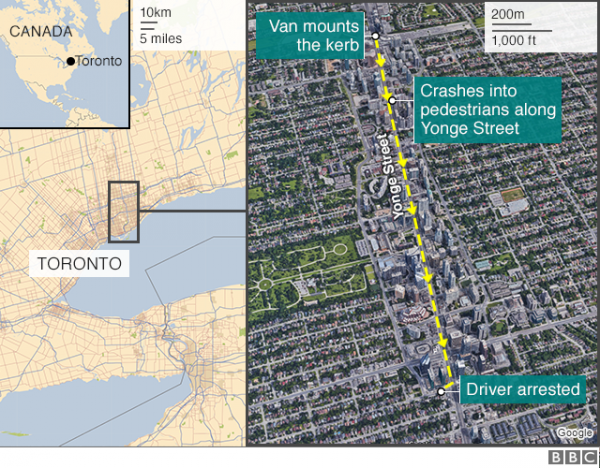 OP: A young man used a truck to plow into people on a busy sidewalk in the city of Toronto, Canada, earlier this week. The attack killed 10 people. A van driver accused of killing 10 people in Toronto posted to Facebook minutes before the attack to praise a woman-hating mass shooter. 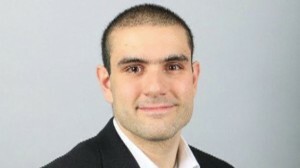 Alek Minassian – charged on Tuesday with 10 counts of murder and 13 counts of attempted murder – also referred to the misogynistic "incel" Reddit group. Police say the 25-year-old intentionally drove a rental van into pedestrians on a busy pavement. The suspect was arrested several streets away after a tense standoff with police. The 10 dead and 14 wounded are "predominantly" women, ranging in age from their 20s to their 80s, police say. Canadian Prime Minister Justin Trudeau said it was a "senseless attack and a horrific tragedy". What was the 'incel' group? The suspect's Facebook post, which the social network has confirmed as real, praised Elliott Rodger, a 22-year-old from California who killed six people in a 2014 shooting rampage through Isla Vista, California, before turning the gun on himself. It read: "The Incel Rebellion has already begun! We will overthrow all the Chads and Stacys! All hail the Supreme Gentleman Elliot Rodger!" The term "incel" refers to a now-banned group on the message site Reddit, used by Rodger, where young men discussed their lack of sexual activity, blaming women for the problem. "Chads and Stacys" refers to attractive men and women who are perceived as better than or unavailable to "incels", which is short for "involuntary celibate". Toronto van attack: What's an incel? How did the suspect appear in court? He was brought to court on Tuesday to hear the charges against him. His head shaved and wearing a white jumpsuit, he held his hands behind his back, showing little emotion throughout. He will remain in custody and return to court on 10 May for a bail hearing. He was ordered to make no contact with surviving victims. A man believed to be his relative sat in the front row of the courtroom and wept. Asked by reporters if he had anything to say, the man replied, "Sorry". Yonge Street, where the attack took place, remained closed on Tuesday as police continued their investigation. While the authorities have not yet formally identified any of the dead, three have been named in the media. 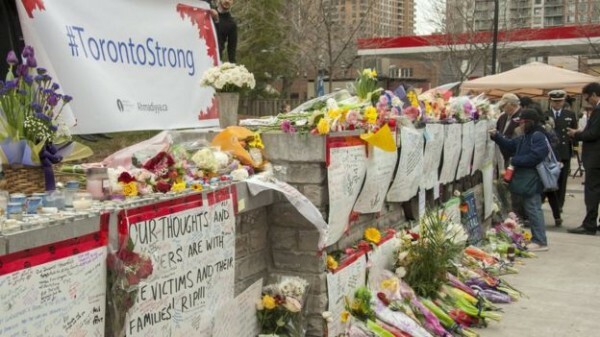 The Jordanian embassy in Ottawa has told the BBC that one of its citizens was among the victims. Jordanian media named him as Munir Abdo Habib al-Najjar. He was reportedly in Canada to visit his son. Toronto resident Dorothy Sewell, 80, has also been named by relatives as one of the victims. Dorothy Sewell was a fan of the Toronto Blue Jays baseball team. Her grandson, Elwood Delaney, said she was the "best grandma anyone could have asked for". The South Korean embassy in Canada confirmed to the BBC that two of its citizens were among the dead and another was critically ill. Their names have not been disclosed. What else do we know about Minassian? From the northern Toronto suburb of Richmond Hill, he was not previously known to the authorities. There "would appear to be no national security connections", public safety minister Ralph Goodale said. He attended a school for students with special needs in north Toronto, former classmates say. He would be seen walking around Thornlea Secondary School with his head down and hands clasped tightly together making meowing noises, Shereen Chami told Reuters news agency. 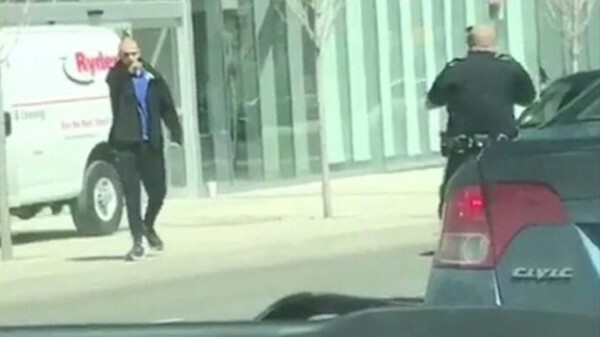 He went on to attend Seneca College in the North York area of Toronto, where the van incident took place, CBC reports. The Canadian Armed Forces (CAF) has also confirmed he was a member for two months in late 2017 before asking to be voluntarily released. The suspect confronted a police officer and claimed to have a gun. Flowers and messages are left near a small park on Yonge Street. OP: More of the victims have been named here (I am posting excerpts from a second article). (1) Betty Forsyth, a 94-year-old woman, was killed in Monday’s tragic van attack in north Toronto. 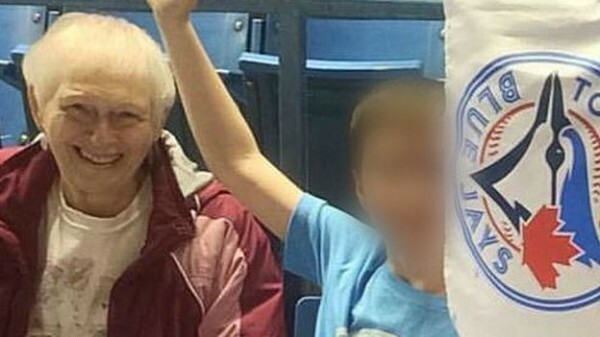 Mary Hunt told Global News a relative of Betty Forsyth called her to break the news of her neighbour’s death. She describes Forsyth as a lively person who loved to feed the birds and squirrels on her regular walks through the neighbourhood. 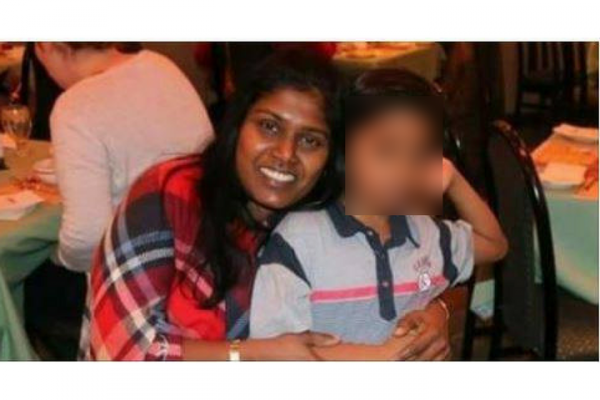 (2) Toronto District School Board employee Renuka Amarasingha is among those killed in the attack. A GoFundMe page has been set up by the meditation centre, Pinnaduwage explained, all the funds will eventually go to the woman’s son. (3) A resident of Jordan visiting his family in Toronto has been confirmed as among those killed in Monday’s van attack. The death of Munir Najjar was confirmed by the Embassy of Jordan in Ottawa to Global News Tuesday. Najjar’s identity was released Wednesday. 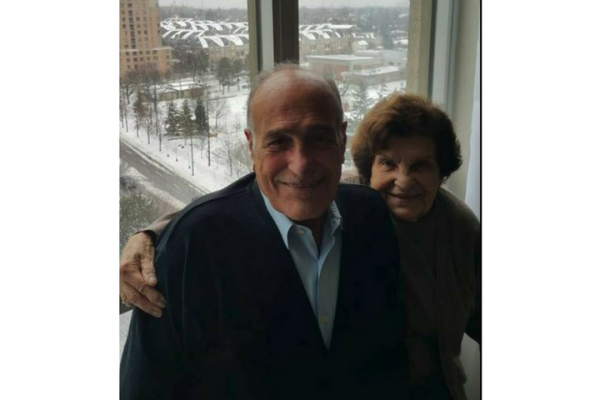 Najjar, who was in his 80s, was in Toronto to visit his children and grandchildren, the embassy explained. (4) Two South Korean citizens have also died, a South Korean foreign ministry representative in Canada told Reuters Tuesday. The country’s foreign affairs ministry confirmed the news in a tweet Tuesday. 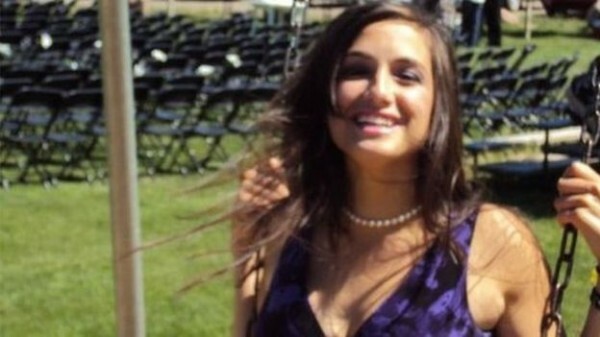 (5) Seneca College also confirmed a female student died in the attack. “Our thoughts are with all those affected, including the family and friends of one of our students who died as a result of the tragic incident,” an email to Global News read. The student was not named due to privacy concerns. 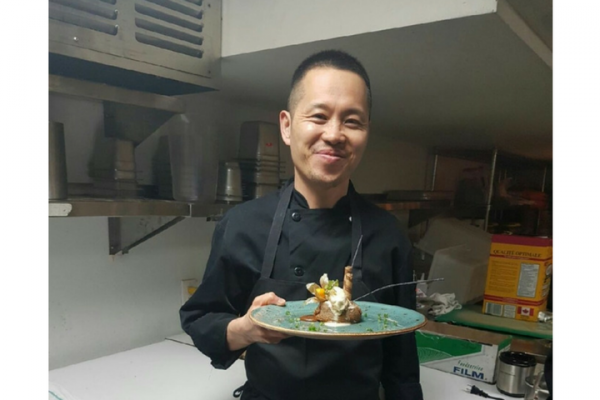 (6) Chul Min Kang’s death was confirmed by the company where he worked, Copacabana Brazilian Steakhouses, in a letter to employees Tuesday. 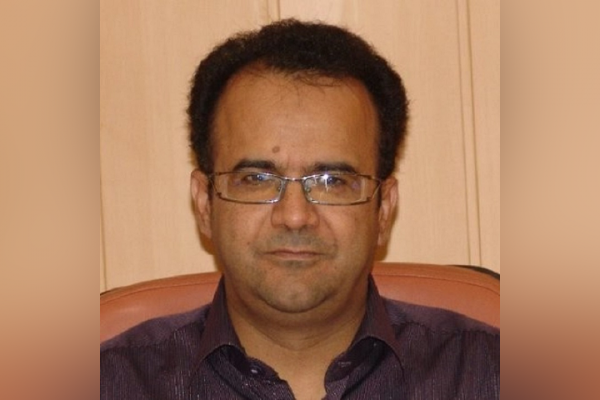 (7) Amir Kiumarsi is a Unit 2 chief steward for CUPE 3904 Contract Academics of Ryerson University. A LinkedIn profile and Facebook page says he is a chemistry lecturer at the university as well. CUPE 3904 told Global News on Wednesday that they do not know the specifics of Kiumarsi’s condition, but that he is in the ICU at Sunnybrook Hospital. At this time, his family is asking for privacy. 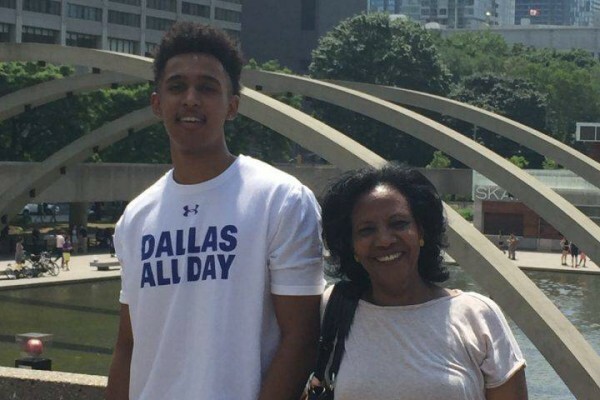 (8) Amaresh Tesfamariam’s nephew Menab Tesfu confirmed to Global News that she is still in hospital, suffering from an injury to her spine. Tesfu said his aunt works as a nurse and was heading home, or on her way to work, when she was struck by the van.